"Such, Gentlemen of the Jury, is the man who appears before you today. Always searching for a dupe or a victim. Thanks to his strange powers of seduction, he beguiles the friendship of some, and the confidence of others. He has used all kinds of disguises; changed his name and appearance as easily as his domicile. He moves with extreme ease from the most luxurious hotels to the most sordid of dives where crooks and rogues gather. A single word will suffice to fully enlighten you as to his character: this so-called Mr. Melvil, this formidable malefactor, as intelligent as he is audacious, deserves to be called by his alias: The King of Crime--Fantômas!" New York, 1910. A mysterious criminal mastermind stages a daring escape from the courtroom where he is being tried, after having been arrested by Nick Carter, and challenges the world-famous detective to a contest of wits: Will the mysterious "Mr. Melvil" succeed in kidnapping the rich heiress, Helen Dodler, despite all the resources of Nick Carter and his men? 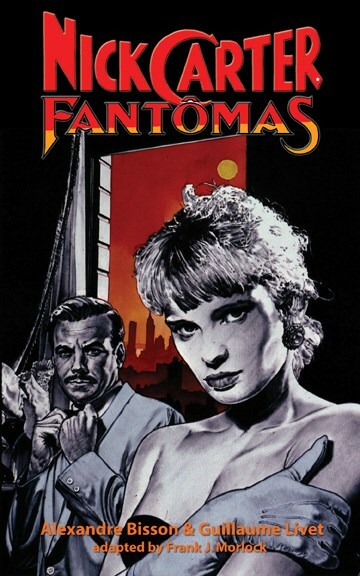 This never before translated play, initially performed at the Theatre de l'Ambigu-Comique in Paris in 1910, was penned by two prolific French vaudeville writers, who had the extraordinary idea of pitting Nick Carter against a villain just as cunning and resourceful as himself: an enigmatic character, who is none other than Fantômas, the Lord of Terror. The play was translated by Frank J. Morlock, author of Sherlock Holmes: The Grand Horizontals. The book also features an extensive introduction by Jess Nevins on the history of Nick Carter.